Do you need a general dental checkup, a more appealing smile, or help sleeping at night? Stony Brook Dental Care, PLLC can help. When you visit our Jeffersontown, KY office, your healthy smile is our top priority. Our dentist, Dr. Michael Barnett, is a leading dentist in Jeffersontown and provides dental services for all ages, as well as treatments for craniofacial pain. For over 30 years, Dr. Barnett has been providing high quality dental care to the residents of Jeffersontown, Louisville, Hurstbourne, Forest Hills, Cambridge, and other surrounding communities. Our entire team is dedicated to listening and serving you with the personalized, trusted care that you deserve. We welcome you to our practice and look forward to building a lifelong relationship as your family's dental care provider. Dr. Barnett believes that our patients deserve the best dentistry has to offer. To help you receive the best quality service possible, we offer a wide range of high-tech tools. We use digital X-rays to get an accurate look at your oral health without exposing you to the same radiation as a traditional X-ray machine. For TMJ and sleep apnea treatments, we use 3-D cone beam imaging to obtain a 360-degree X-ray of your head and determine what could be causing such issues. Intra oral cameras help us find and treat cavities, and cold dental lasers help us reduce any swelling you may experience during dental procedures. Our Jeffersontown dental office also provides nitrous oxide to help patients relax during their visits. We know some patients have dental anxieties, and we want to help you overcome those fears in order to get the dental treatment you need. 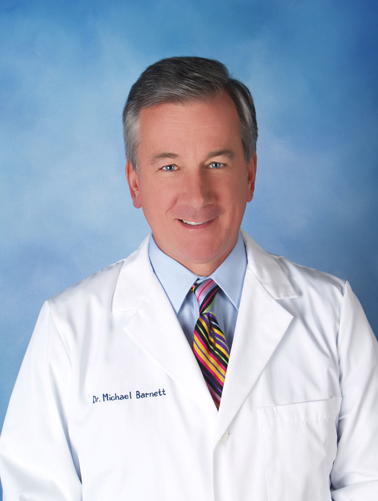 For general dentistry, cosmetic dental treatments, therapy for TMD, or sleep-based health needs, Dr. Michael Barnett of Stony Brook Dental Care is able to provide the solutions for your dental problems. Stony Brook serves Jeffersontown and the surrounding Louisville Metro communities: Hurstbourne, Hurstbourne Acres, Douglass Hills, Forest Hills, Houston Acres, and Fern Creek. Please feel free to schedule an appointment with us or contact our office today for more information! Don't forget to view Dr. Barnett's Blog. As a person who has always been leery of dentists, and who has always dreaded regular appointments, I thought Stony Brook Dental care would be more of the same of what I've always been used to. I was wrong! Dr. Barnett and his staff treat their patients wonderfully. I'm always comfortable from the moment I walk in the door. They seem to have the latest technology and are very hospitable. The office and treatment of patients has a very 'high-end' feel that makes those trips to the dentist much more enjoyable! There is no better dental office than Stony Brook Dental Care. Dr Barnett makes you feel very comfortable and is always amazingly kind. The staff is one to brag about. I have never witnessed such professionalism and genuine care. I look forward to my dental visits every six months. Everyone is so dedicated and I greatly appreciate everyone so much for all your hard work and ability to create such a lovely environment!!! Shout out to Kristen: one awesome dental assistant!! Exceptional service. Dental tech was very professional , thorough and kind. The entire staff makes one feel very welcome and appreciated. Top notch dental care. If you are looking for a cosmetic dentist, or general dentist, louisville dental practice, Stony Brook Dental Care offers dental cleanings, porcelain crowns, dental exams, teeth whitening, root canal therapy and more. Please come and visit Louisville, KY Stony Brook Dental Care.